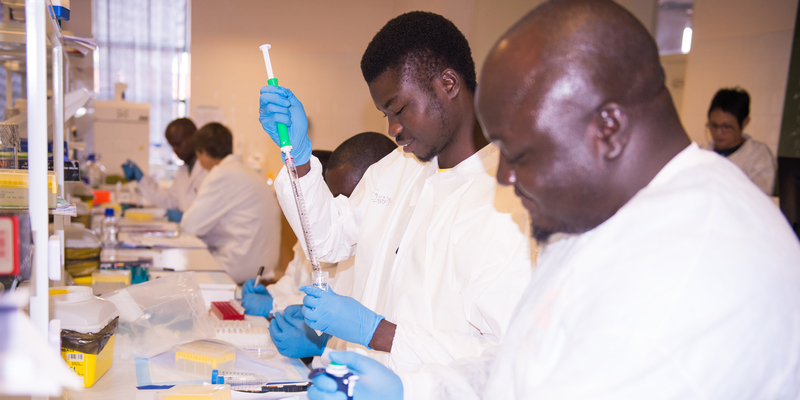 Africa University College of Health, Agriculture and Natural Sciences conducted a training workshop on Enzyme-Linked Immunosorbent Assay (ELISA) to support the Malaria Entomological Surveillance programme of the government of Zimbabwe. The five day workshop took place at Africa University Main Campus in Mutare from 7 to 11 August 2017. The workshop which was funded through the United States President’s Malaria Initiative, was facilitated by the Center for Disease Control and Prevention (CDC). Participants of the workshop comprised students and staff of Africa University and scientists from the National Institute of Health Research. The overarching goal of the workshop was to train participants in the methodology of determining the distribution of malaria infection rates among vector mosquitoes in Zimbabwe. This is useful for the Ministry of Health and Child Care to better target efforts of combating malaria. Africa University is providing molecular surveillance in malaria vectors and malaria parasites identification for the Ministry through utilizing circumsporozoite ELISA technique to detect malaria parasites in mosquitoes. “This workshop has equipped us with high end skills that will enable our department to contribute more to the ultimate goal of malaria eradication in Manicaland and the country at large. As a pan African University these skills will quickly be transferred to other parts of the continent where malaria is a perennial problem as well."